Addressing the demand for incorporating stretched flames into custom-designed settings, the linear features of the XL burners perfectly combine their sleek parallel lines with the clean lines of today’s contemporary living. 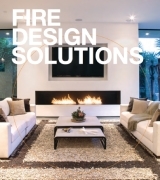 An elegant, bright, elongated flame helps ‘make’ an indoor or outdoor room and creates a distinctive drawcard. 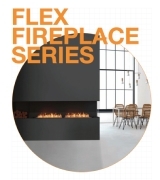 Perfectly and easily integrated into media units, cabinetry, walls, pillars, timber or stone benches, XL ethanol burners come three sizes depending on the style you want to achieve. The many, diverse installations around the world are testament to the versatility of these amazing burners. A primary tool for home build professionals, can be readily incorporated into diverse materials – concrete, hard timber, marble, stacked stone, stainless steel, to name but a few. 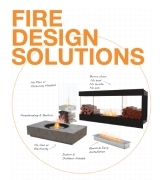 Create a feature piece just with an XL burner or choose from one of the stainless steel Firebox Inserts featuring an elongated burner. 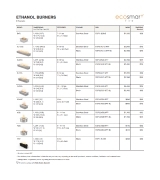 XL ethanol burners feature a shut off mechanism and operate under all conditions, at all temperatures, every time. Powered by clean-burning e-NRG bioethanol, with no harmful by-products such as smoke, soot or ash. Features a ‘flip lid’ shut-off system that fits perfectly across the ignition zone to extinguish the flame. Purpose-designed baffle inserts allow you to regulate and further stabilise the flame at the same time as increasing fuel efficiency. The longest of the elongated flames. One of the most popular of the elongated flames. Small sister of the XL burner series, but with a long-lasting burn time.